Ireland is punching above its weight in the agriculture sector and delivering the highest quality when it comes to agricultural produce around the globe. Being a country with such high standards, it is natural that Agricultural Shows are more important than ever and help set a measurable benchmark for these standards. The importance of the many local, regional and national agri shows is evident by the involvement of all the industry stakeholders including the sponsorship of the leaders in the agri industry, their support agencies, and the farm producers themselves. The nations agricultural shows are typically run by a core voluntary team, primarily from the farming sector but with a growing involvement of the entire community who realise the growing importance of 'returning to the land' as a key driver to delivering a sustainable economy. In 2012 Dotser began developing a comprehensive online system to allow agri shows efficiently manage their event, using clever technology to reduce administration time and costs, removing time intensive tasks and ultimately delivering an effective management system for agricultural shows. 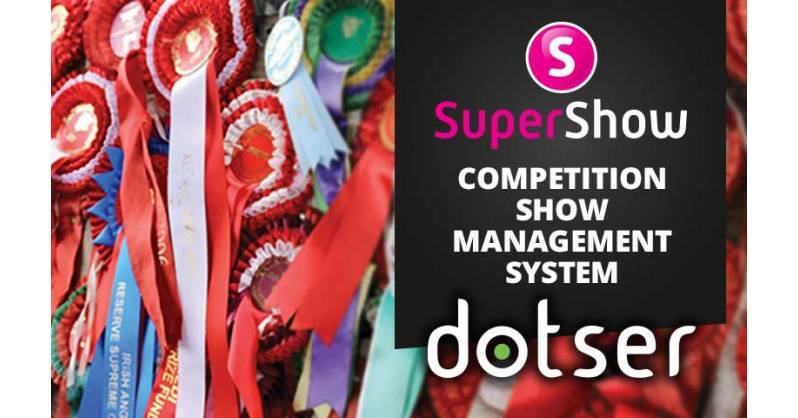 The Super Show system has evolved over the last 5 years to position itself as the best online competition management system on the market to allow show organisations run their shows effectively. The SuperShow system, with the support of the experienced Dotser team has proven, year after year, with the Tullamore Show, Ireland’s largest one day event, and now the Gorey Agricultural Show, that this innovative management system works effectively, saving time, increasing revenue and ultimately making agri shows more professional in many areas. 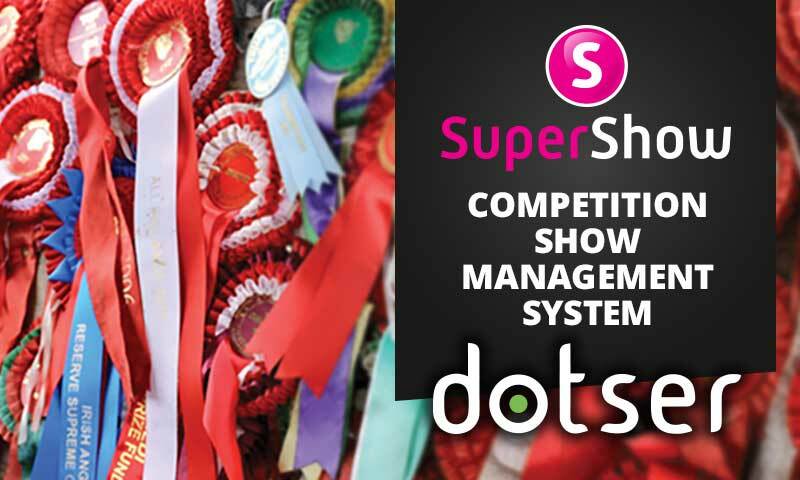 To make the most of the valuable time that is available to show organising teams, Dotser’s Super Show System gives live accurate show data at a glance to users with system access.